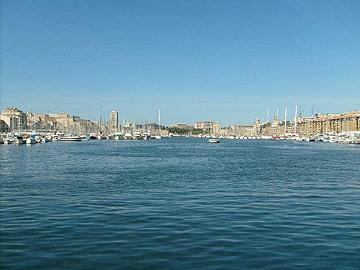 Marseille is an important city at the western end of the Cote d'Azur and on the Mediterranean coast. 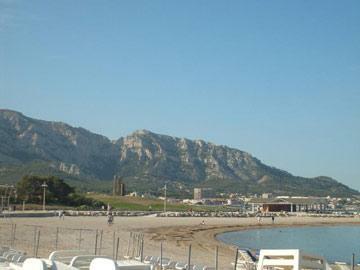 It is located in a large bay at the foot of some low hills. 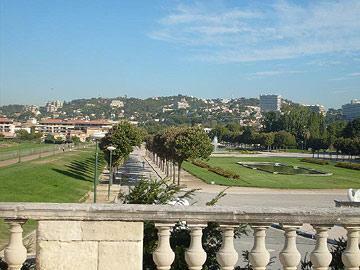 It is an old city, having been an important port as long ago as 500 BC, and is the second largest city in France. It's history and position on important trading routes make it a city that offers a wide range of heritage, places of interest, culture and diversity, and is undoubtedly one of the most vibrant and exciting cities in France. 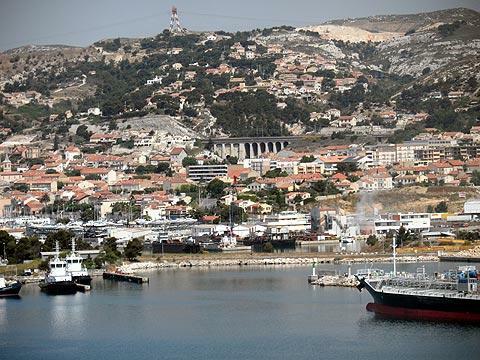 The international flavour of the city is in part due to the city's role as a main trading port with Africa, and the substantial US navy presence - both have a material impact on the city, especially around the port and harbour region of Marseille. Marseille is not really a city that is focussed on tourism - you will encounter all the noise, smells and activity that you would expect of a crowded port city, all of course a crucial part of the ingredients that go to make a visit to Marseille such a unique experience. 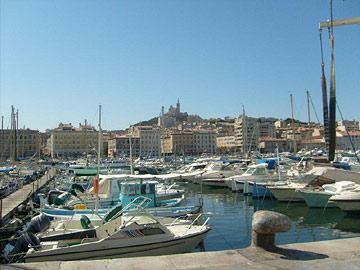 The large size of Marseille means that you could live there permanently and still keep discovering new aspects and highlights. Here we look at some of the most popular highlights with visitors. The old port (vieux port) is a good place to start a visit, and is always bustling with activity - both local, and from the cruise ships that stop here. The fish market is held at the quai des belges at the head of the port. Most visitors then follow La Canabiere - the wide street that runs from the back of the harbour and runs past many of this city's highlights. One of these is the curious Palais Longchamps - a pretty spot with gardens and fountains, and a curious design for a building that plays host to the renowned Museums of Natural History and Fine Arts. Notre Dame de la Garde is a 19th century basilica that stands on the hill behind the port, with the statue of the virgin on top of the belltower. 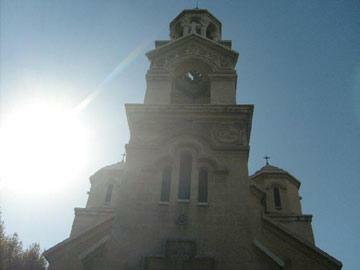 The main attraction of the basilica is the awesome views that it provides over the city and harbour of Marseille. One particularly impressive building is the 'Vieille Charité', a hospice (the main building is a domed chapel) in a courtyard of attractive galleries dating from the 17th century. This now plays home also to the Museum of Mediterranean Archaeology. The Saint-Victor Abbey is a fortified abbey from the 11-12th centuries. Apart from the impressive building itself be sure to visit the crypts and their ancient remnants. The Jardin des Vestiges contains some remains and walls of the Greek port that stood here 2500 years ago. One other 'recommendation' is the part of the city called the 'Cité radieuse' - the 'unité d'habitation' of le Corbusier. A landmark development and design and enthusiasts of the architect will want to see it - others might be less impressed, because it was the forerunner of thousands of 1960's housing developments which continue to blight many cities around the world even today. Most noteworthy of the many museums found in Marseille is perhaps the Museum of Fine Arts in the Palais Longchamp which has a high international reputation, and focusses on the paintings of the 17th to 19th centuries. The Museum of the Roman Docks features the remains of an actual Roman warehouse, now carefully preserved. Marseille suffered a lot of damage during World War II, and these remains were uncovered as part of the clean up operation that followed the war. 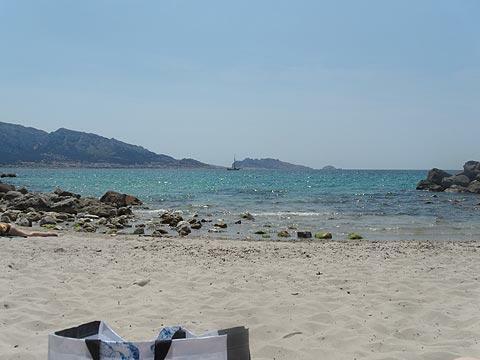 Other interesting Marseille museums include the Museum Grobet-Labadie; the Museum of Natural History; the Cantini Museum of modern Art, the Museum of Fashion; and the Museum of the History of Marseille. 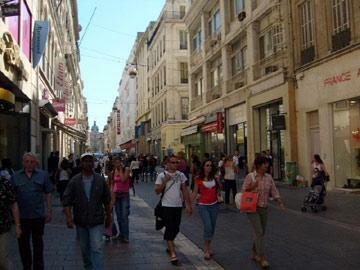 Several markets are held in Marseille. Among these are fish markets and numerous ethnic markets where you can discover 'foods of the world' - with African products being especially common. One great dish for which Marseille is well known is the fish recipe called bouillabaisse - a tomato based sauce containing a multitude of different fish types, you should try this in a Marseille restaurant if possible, and ideally one of those near the fish market in the harbour for the most authentic bouillabaisse experience - it is very delicious when made with extra-fresh fish! The island just off the coast at Marseille holds the fort that was the basis for the story of 'The Count of Monte Cristo'. The impressive prison-fort is called the Chateau d'If and is a listed Historic National Monument. 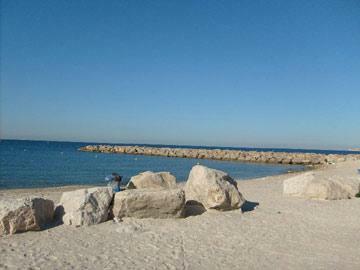 A little to the east visit the dramatic coastline of the Marseille calanques. 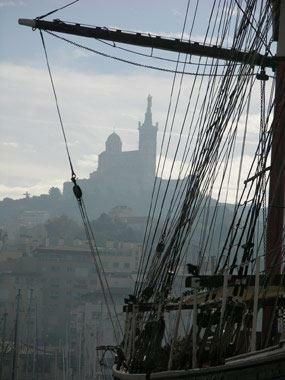 See a related article - the history of Marseille.